4/4 (Traditional) Recorded by The Clancy Brothers And Tommy Makem. The sheet music for tin whistle is included. 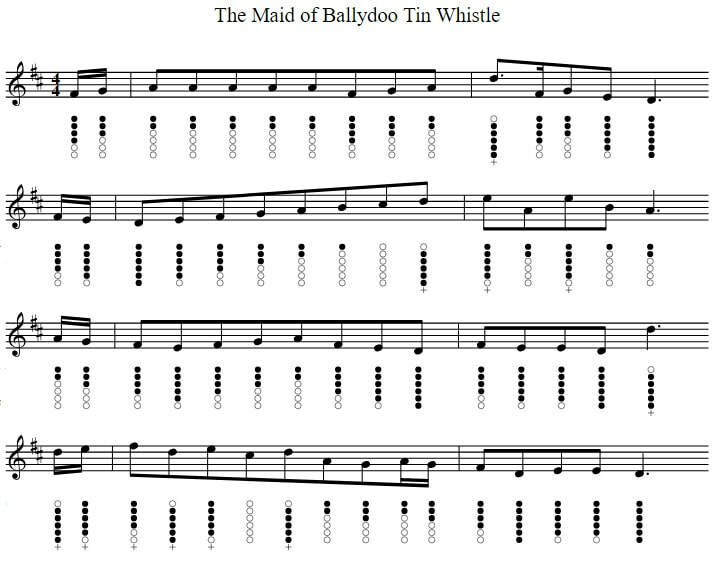 The Maid Of Ballydoo Irish Song Lyrics And Chords.